Stop Killing Londoners Blocking The Traffic in Chiswick, South West London. The activist group Stop Killing Londoners block access roads out of Chiswick Roundabout, December 18th 2017, London, UK. 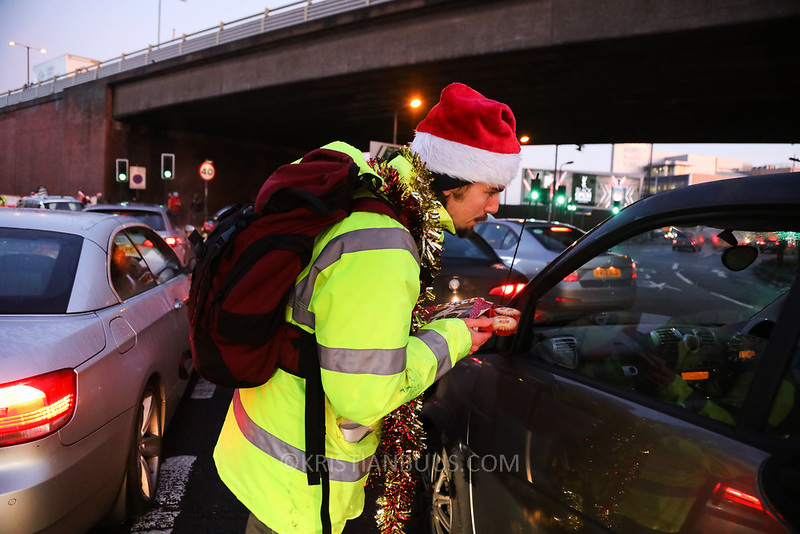 Liam handing out mince pies explaining drivers about the action and keeping the Christmas peace. The action is part of a long running campaign to curb air pollution in London.